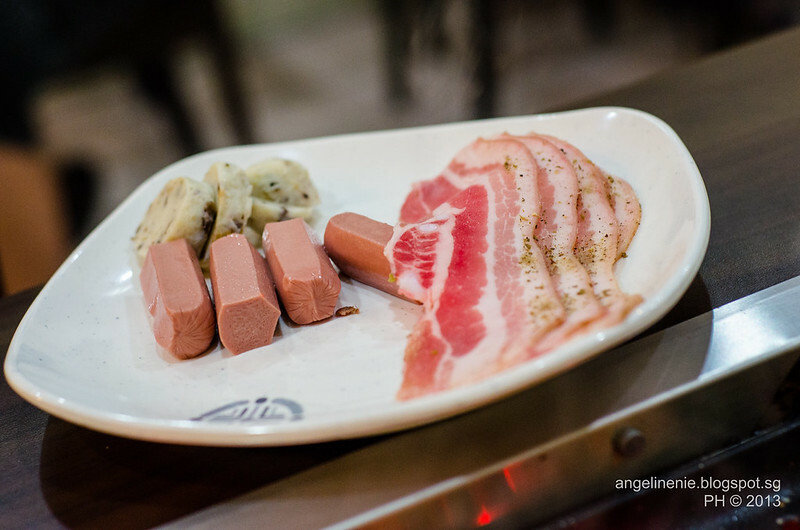 Goki Day Korean BBQ Buffet Restaurant - angeline koh. food. travel. Honestly, who wouldn't like a good buffet with a reasonable price tag? Such buffets actually do exist and the tricky part is to actually find them. Goki Day is one such place hidden away in Serangoon. My first korean bbq experience was at 2D1N (which my parents mistook for a hotel) and boy for the price of $20+ that sure is one hell of a good buffet. My second was at Crystal Jade Korean BBQ which was actually pretty good and they had student price. Then my next korean bbq experience was actually in Korea itself. And of course, nothing beats the original. So when I came back to Singapore, I pretty much had withdrawal symptoms. Of course, there are tons of delicious buffets with a hefty price tag. 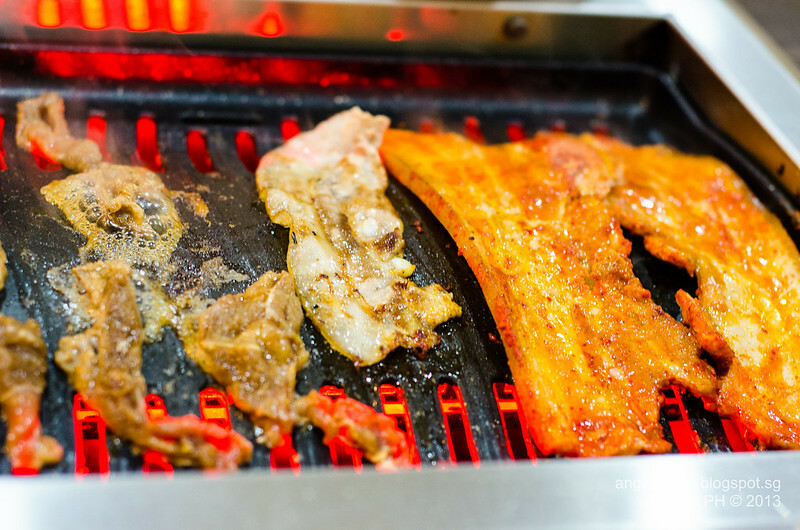 But having paid nothing more than SGD20 for bbq in Korea itself, I was reluctant to spend much more than that. 2D1N, if you haven't eaten, is really good. But Goki Day beats it hands down. 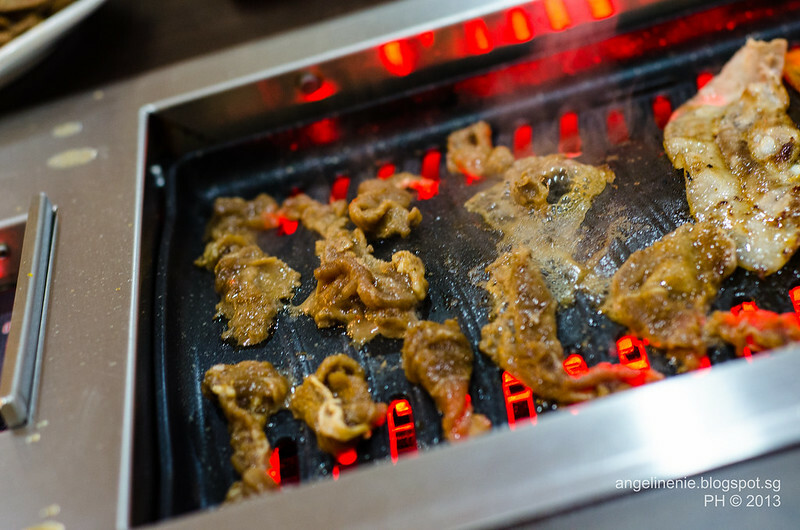 Sure, there range at 2D1N is slightly larger BUT, Goki Day wins because of its marinated meat. 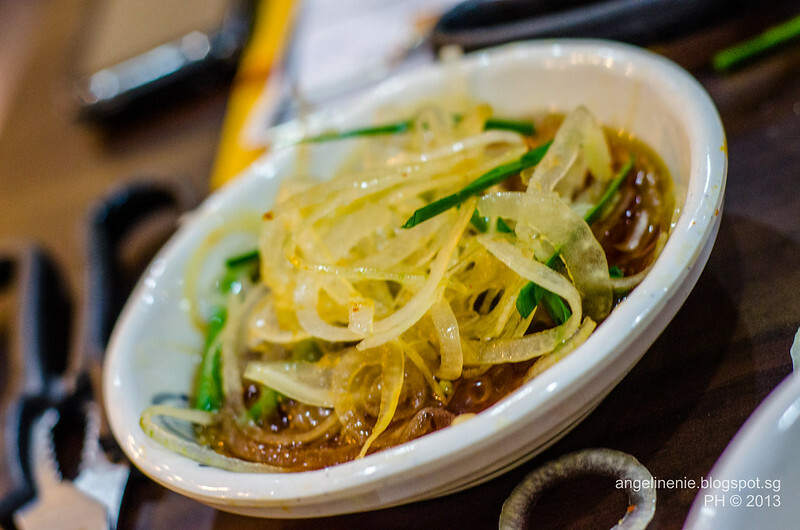 Gosh the beef bulgogi was sweet and the meat was extremely juicy. You can even smell the aroma while they're cooking on the stove. They're pretty much bite-size pieces of heaven. And the pork belly was marinated perfectly too. They have I think 2 different marinates for the pork belly-- one's herb and the other one, well I have no idea what the other one is, but it's orangey and it's more savory. I think it's some sort of kimchi paste marinate. I prefer that because it has more flavour, the herb one is a bit bland. Really, even though bbq is supposed to be unhealthy, the Koreans make it less sinful by adding in that much vegetables to the meal. Probably why everyone in Korea is still so skinny after having bbq so often. I have to say, Goki Day will probably be my favourite korean bbq place for now because it's authentic as you can get to the ones in Korea. The price of $24.90++ is extremely reasonable given the quality of meat! And of course, the place is run by Koreans, and always full so do make a reservation before heading down! what is the shop opening hours? Yep! They have water and tea I think. I would recommend making a reservation since it's always full, though it's not compulsory. My self and my partner are both Korean. 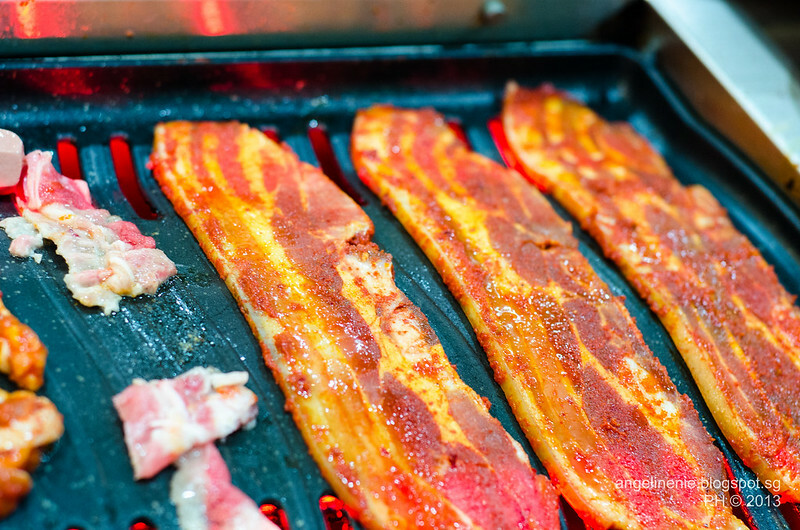 Pork Belly is all time Korean favorite meat. 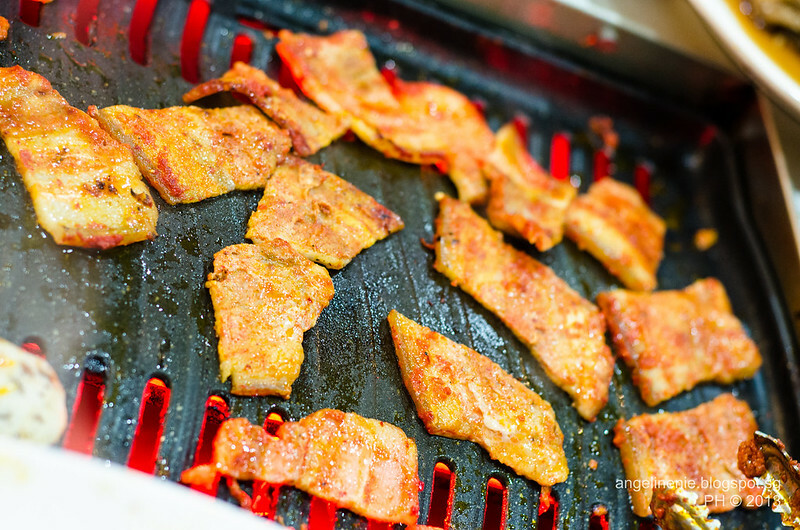 The red meat you metioned is pork belly marinated with korean chilly paste. mention the chilly paste costs. 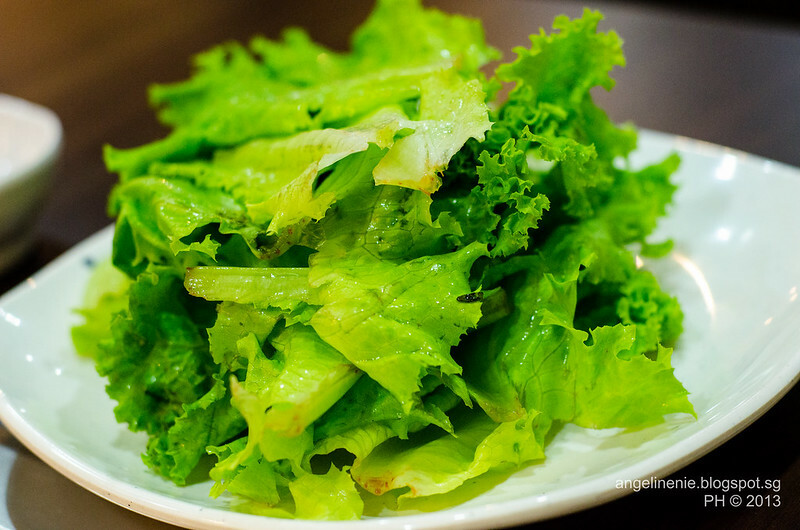 You should eat meat with either the onion & sauce you mentioned or the sliced raddish with other vegetable as well. Onion will help to reduce collestrol level and raddish helps to digest. We do try hard to provide quality food. We marinate our meat with brown sugar, apples, pear, onions, garlic, ginger etc. We are having 20% off on 1 hour 30mins weekend(sat,sun/PH) lunch for July 2013 only. Do visit Goki Day again! I am back to update you. - Enjoy as many times within the birthday month. Early dinner 20% is now 10% due to increase in cost and rental. Copyrights 2017 ThemeXposeangeline koh. food. travel.